I have seen a lot of farmhouse style lately and I've really started to like the look. Although I do find it kind of bland and stark because everything is generally monotone, I love the crisp, clean style. It reminds me of my mother's country kitchen growing up. 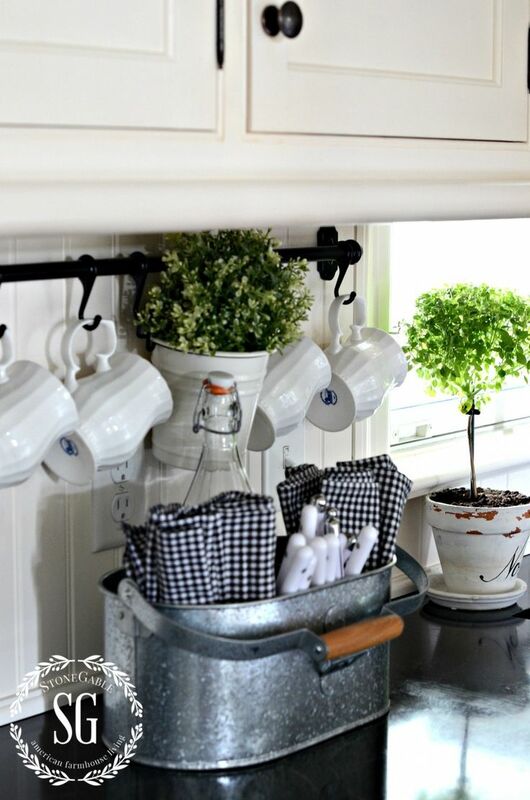 I really like the steel container and the white mugs hanging on the pole above the counter in this image from Stone Gable Blog. The colors are exactly what I think of when 'farmhouse' comes to mind. I really like the look of this one the most because it has great charm. The wire basket holding towels is great and I love the breadbox. Want to see more images? 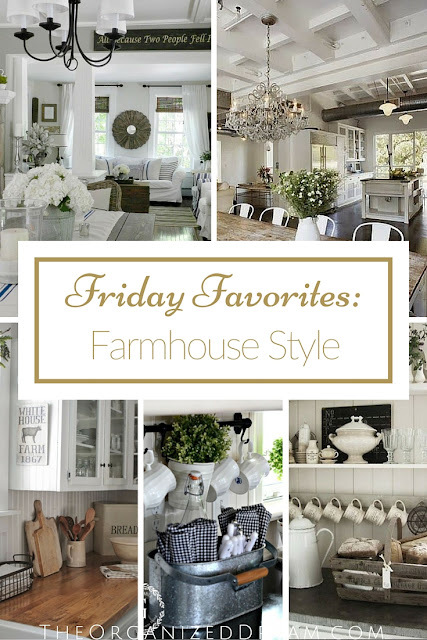 Check out Farmhouse 5540. Well if this doesn't scream country kitchen then I don't know what does! 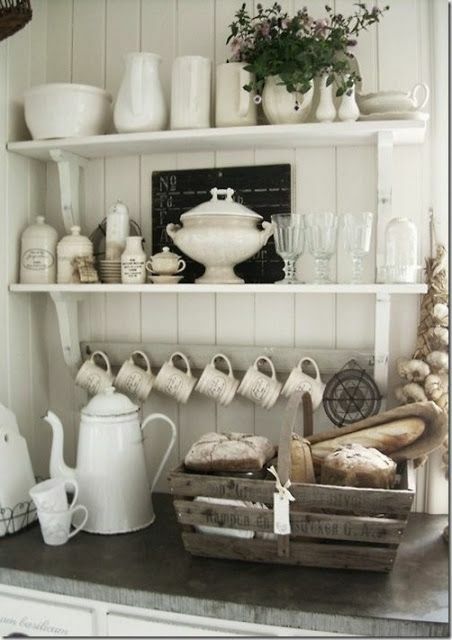 It definitely reminds me of my mom's kitchen down to the old coffee carafe. Check out My Wishful Thinking for more inspiration! I love this table and the chairs remind me of what is seen in Toni's kitchen from A Bowl Full of Lemons. 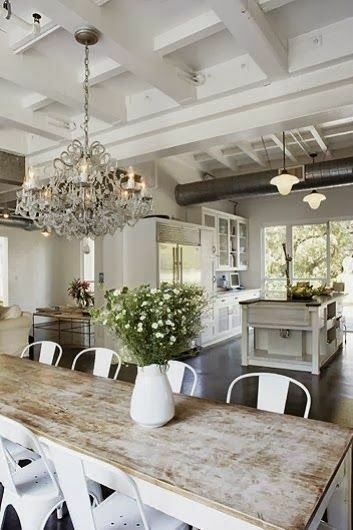 While the kitchen in this picture seems a little too modern, I love the old rustic vibe of the ceiling and the chandelier is beautiful. This is another picture of a beautiful farmhouse table, but what caught my eye was the sofa. 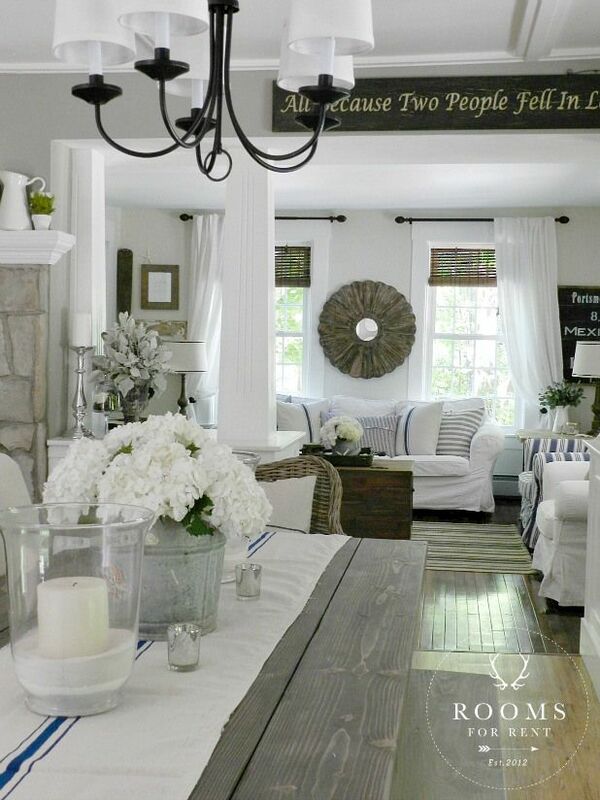 I love the crisp white linen and the blue hue of the throw pillows are great. You'll want to see more from Rooms For Rent. The living room is amazing! Thank you for joining me for the first Friday Favorites of the new year! If you haven't already, subscribe below! You'll find me on almost any social media! How beautiful your images are! So lovely! You picked great images to share. Thanks for sharing them at Celebrate Your Story! Link Party! 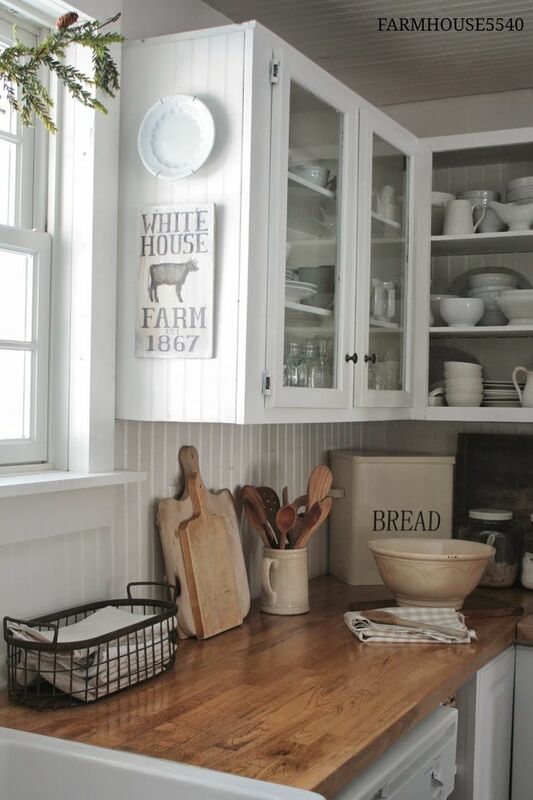 I love the white kitchen! Thanks for sharing with us at Merry Monday.